Feature image: Melbourne residence by Mim Design. Photography Derek Swalwell. ‘Babanees’ stools by Green Cathedral. We love to gather don’t we? Stools are an essential part of many living spaces today. Open plan kitchen/living/dining areas mean we often eat, drink and congregate around a kitchen bench. And we love to rest on a comfy stool while we’re doing it. It’s a welcome way to settle in and be part of the household activity. So how do you find the perfect stool to suit this area? It’s a question I am asked a lot. People feel the pressure to ‘get it right’ because stools are a strong visual element in a high traffic area. They also need to be practical. 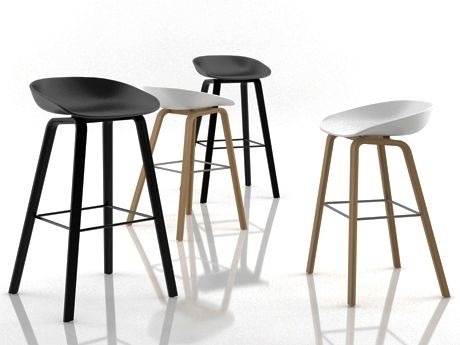 The answer is there is no one perfect stool, but many options to suit a range of settings, including yours. 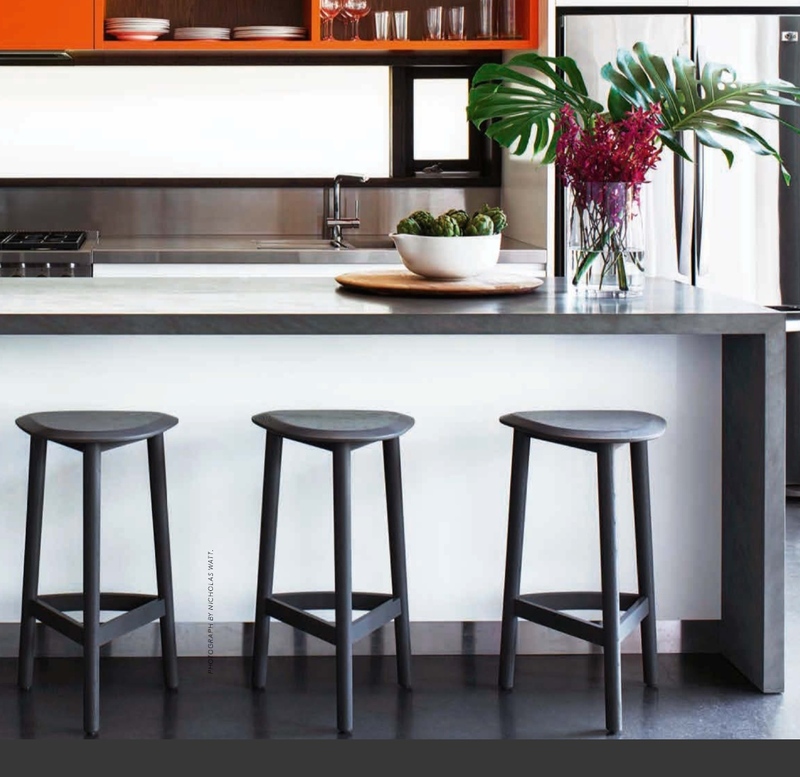 As a general rule, most kitchens will benefit from stools that introduce warmth, texture or colour. This is because of the large amount of stone, steel, and cupboard material featuring in other surfaces in the space. 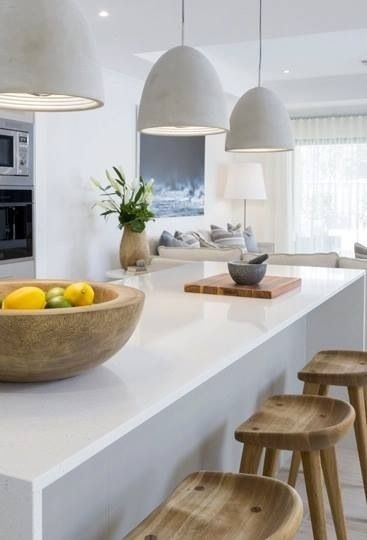 Stools are a wonderful way to bring balance to your overall kitchen scheme. For example, in an all-white, caesarstone topped kitchen, I would suggest timber elements in the stools, or contrasting colour. Black is another smart look that immediately lifts a timber, all-white or marble kitchen. Consider the materials, finishes and scheme of your kitchen and go for something that will complement but provide an interesting counterpoint. Introduce texture, warmth and contrast through your kitchen seating. Gather round. No matter what your style, here’s a round up of my favourite stools and why they work. 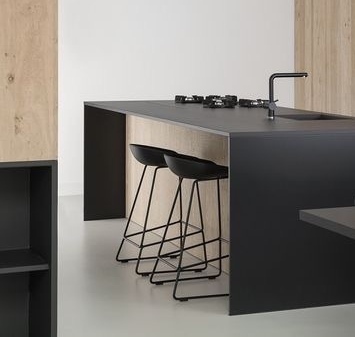 The Danish-designed ‘About a Stool’ by Hay is one of my top picks for kitchen and bar seating. Clean, minimalist but still striking, I love how it combines contemporary good looks with practical design. The moulded seat with a small curved back is perfect for sliding on and off, and is super-easy to clean. Kids and adults alike love sitting on these stools. It comes in black, white or grey, with timber legs or a sled frame. Available from Design Farm. 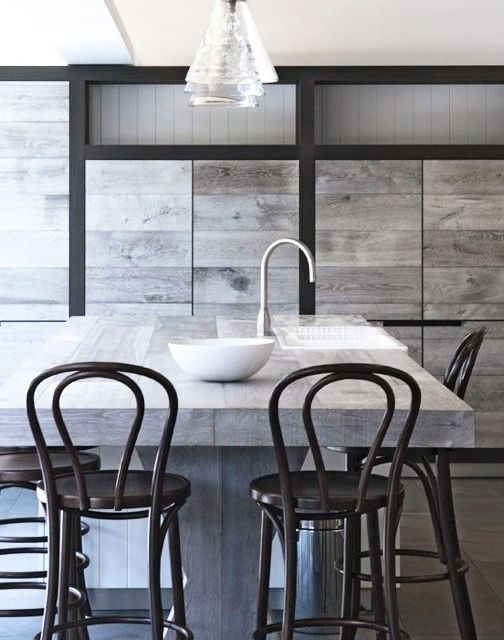 The timber About A Stool looking stunning in this kitchen by Arent & Pyke. Photography Anson Smart. Black and oak set a striking tone in this minimal home in Amsterdam. Courtesy of Ewout Huibers. 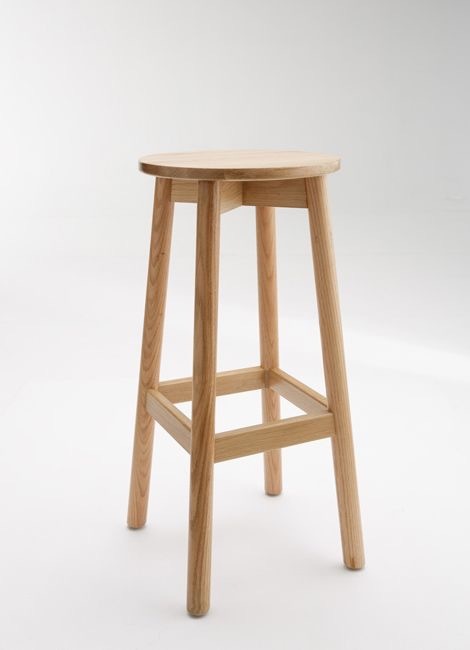 Another Danish design I love is the Smed stool. 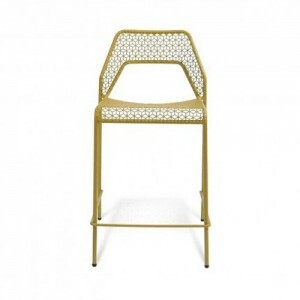 The powder-coated frame is available in brass, mint, white or black and comes with a cork seat. 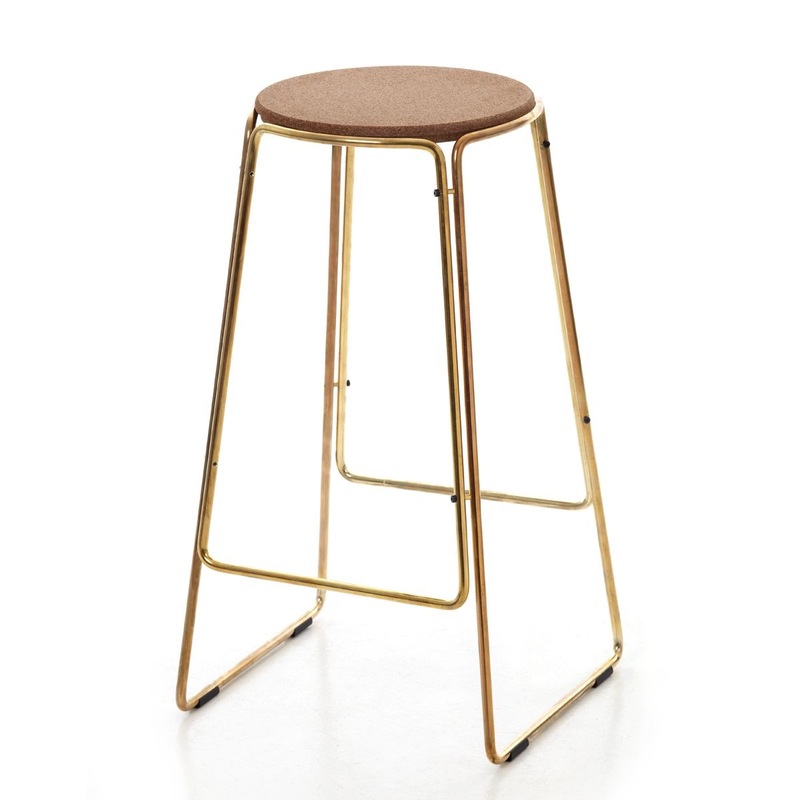 Smed stool in brass. Available from Great Dane. 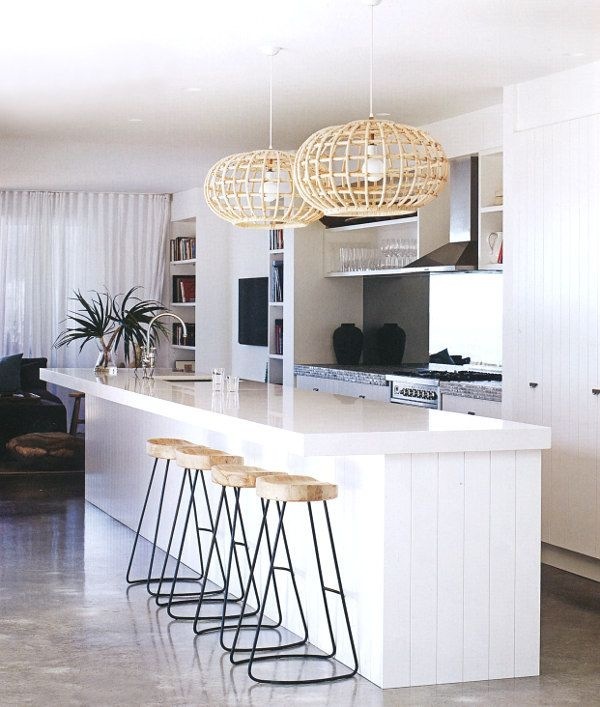 The Smed stool in white in the Oxley residence by Fiona Lynch Design Office. Photography by Gorta Yuuki. I love profiling Australian design and this one is high on my list. The Hendrix stool by Jardan is designed and made in Melbourne in solid oak. Named after Jimmy Hendrix, the seat is in the shape of a guitar pick – not square or round, it has shaped edges for easy access. 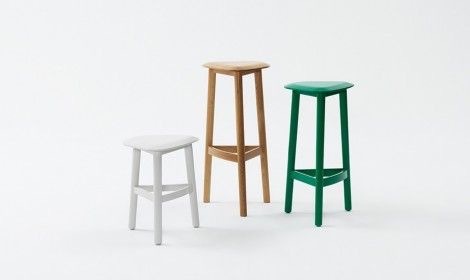 I like this stool because it has a small footprint and quiet design – perfect for small spaces or hub areas where you don’t want the look to be too “leggy”. The Hendrix is available in clear American oak, painted timber or a number of darker timber stains. 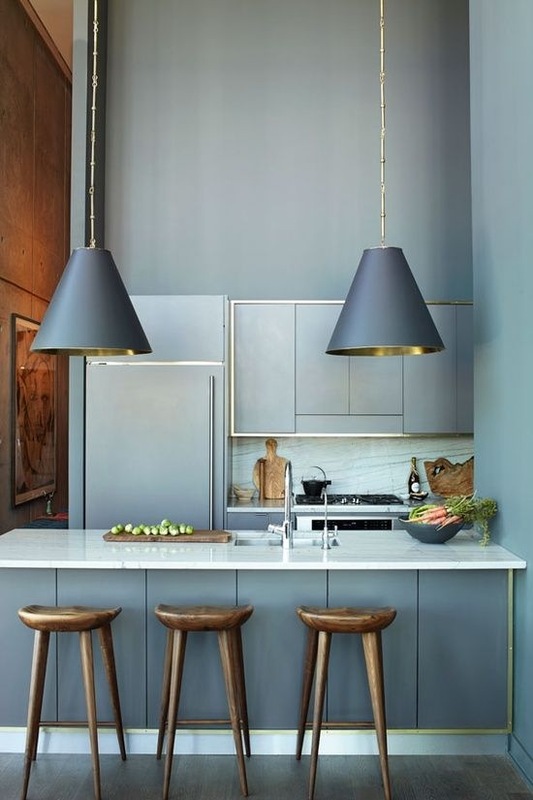 This gorgeous kitchen by Andrea D’Cruz with the Hendrix stools in grey. 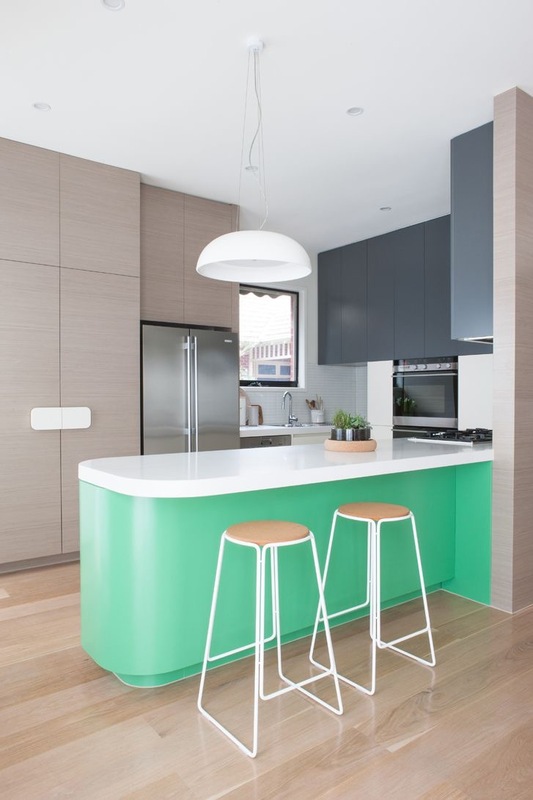 Another Australian design I love is the Babanees stool by Green Cathedral (pictured in the feature image in white). 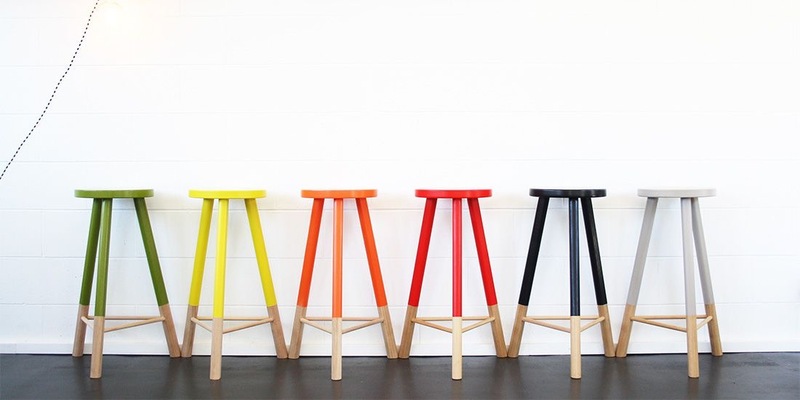 These versatile stools are handcrafted by furniture designer and maker Tim Scarce and his team in Noosa. The Babanees range also includes tables, benches and the super-cute Mini Babanees range for kids. 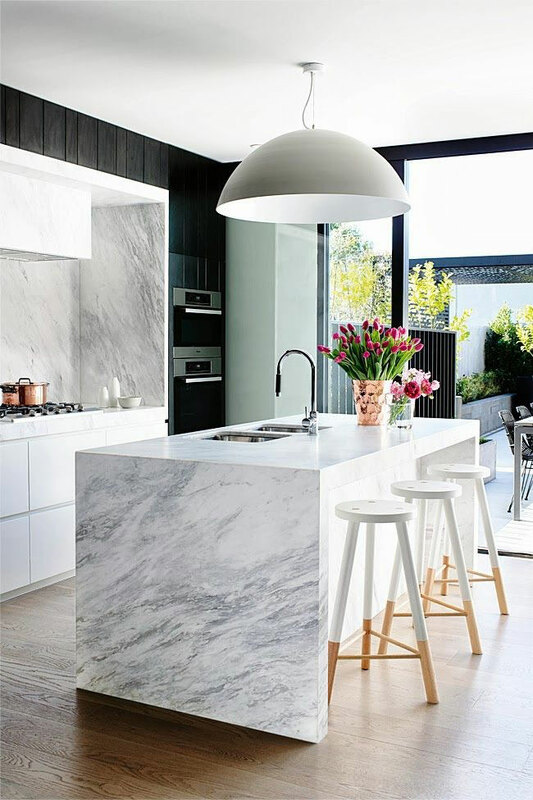 Mim Design installed the white Babanees in this gorgeous marble kitchen in Melbourne. The Partridge bar stool is another smart Australian design by Nicholas Karlovasitis and Sarah Gibson of Design By Them. 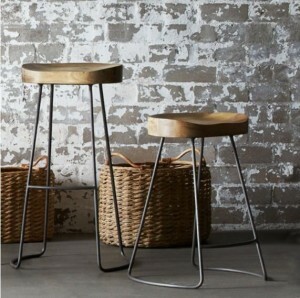 The Ross Didier Fable stool is a beautiful all-Australian choice in solid oak. Available from Design Farm. Solid timber is a good option for the kitchen, particularly in kitchens where shiny bench tops, glass splash backs and cupboards can dominate. Widely copied, the Tractor stool has a moulded timber seat, sturdy frame and front footrest. Look how beautifully these walnut tractor stools contrast and complement this gorgeous grey and gold kitchen. 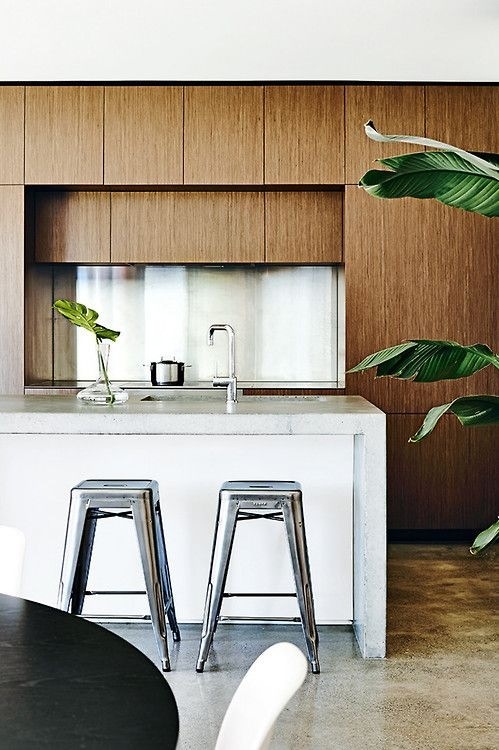 The original Craig Bassam-designed stool, available from Living Edge, is an expensive outlay, however, there is a range of affordable versions on the market. Freedom’s version with a wrought iron leg is an excellent example of how industrial design can work in a contemporary setting. 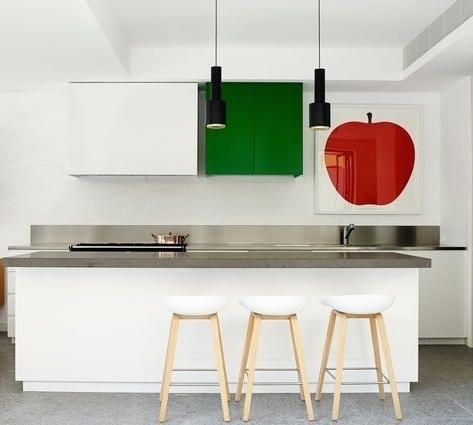 I like the contrast of timber seat and black base against this all-white kitchen. Neat, functional, textural. And a good price point too. The Freedom Tractor Stool, available in 2 sizes for bar or kitchen bench. Oh, the ubiquitous Tolix. It’s been bandied about every interior setting, magazine shoot and homewares store known to man. It’s been copied and coloured countless times over. But still it survives. Why? It is just so practical. Lightweight, moveable and hard wearing, it seems to fit in a whole range of settings whether old, new, industrial or contemporary. And do you know what I love most about this design? It is so old. The designer, Frenchman Xavier Pauchard, was born in 1880! After WW1, Pauchard started converting galvanised sheet metal into domestic furniture. He made the Tolix “rustproof, robust and stackable”, initially for factories, offices and hospitals, and later for parks, outdoor cafes and restaurants. We’re so glad he did. Apart from being in homes worldwide, this stool now sits within the ‘Living Heritage’ furniture hall of fame. Timber, white and galvanised steel combine successfully in this modern kitchen. 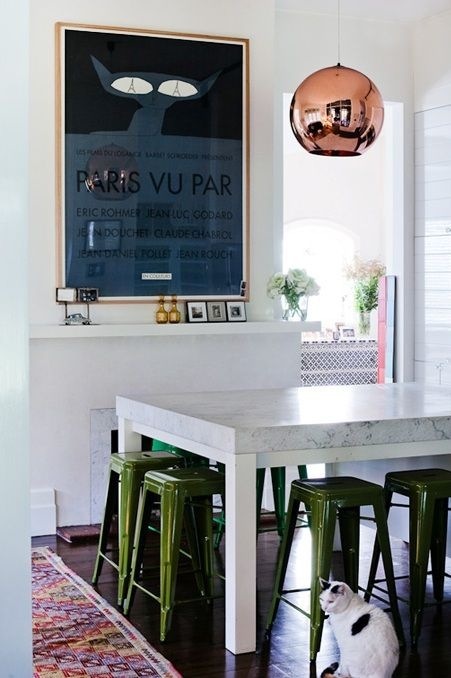 Olive Tolix stools contrast with the Tom Dixon copper pendant and marble bench top. Photography Sean Fennessey for the Design Files. The original Tolix is distributed in Australia by Thonet. Budget-friendly versions can be found at replica outlets and homewares stores. 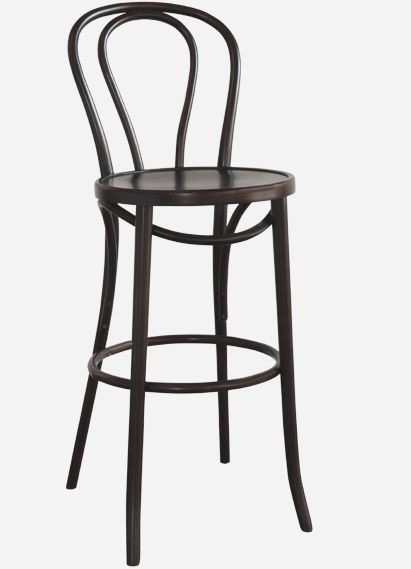 Another classic, the bentwood stool has been around for years and is easily one of the most popular for bars and benches. A traditional design, it also works well in cool schemes and modern settings. We love a stool with a back. The Jardan Seb stool is one of my favourites for this reason. 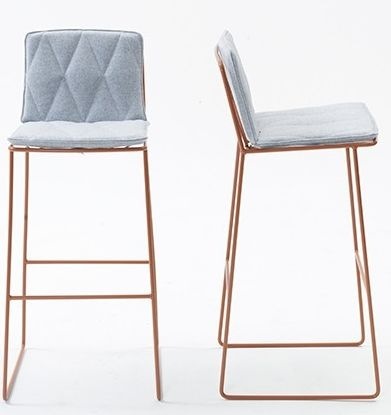 Cool, sophisticated and very, very comfortable, this stool combines a quilted felt seat and powder coated steel frame. Superb. 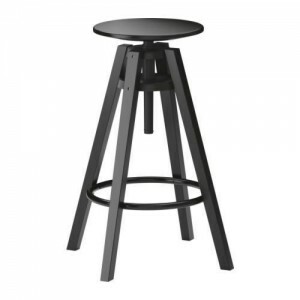 It can be hard finding decent stools at a reasonable price. 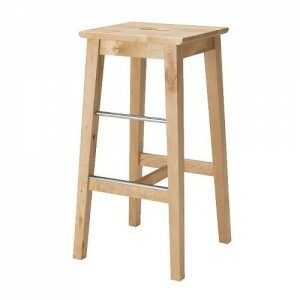 Ikea do a couple of good stools suitable for kitchen bench seating. 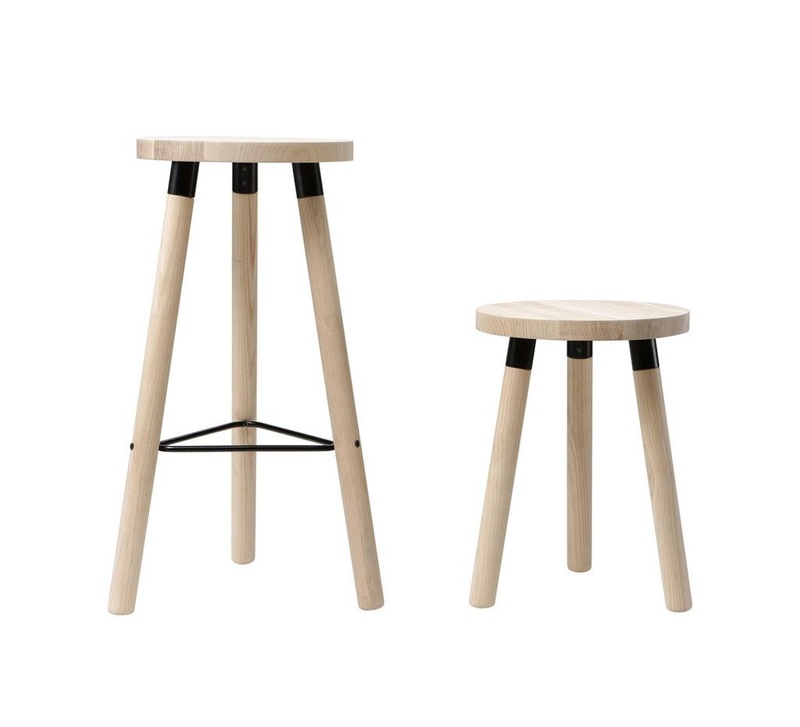 Try the Dalfred adjustable stool in black, or the Bosse stool in natural timber. The Dalfred and Bosse stools, both reasonable buys at Ikea. Stools that work both inside and out come in handy, particularly when gatherings spill outdoors. 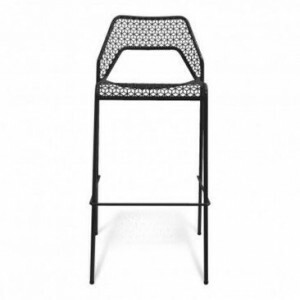 I like Blu Dot’s Hot Mesh Bar stool for a cool look in the kitchen or when entertaining outside. Blu Dot Hot Mesh bar stools come in a range of colours. This is just the tip of the iceberg. If you’ve been out looking, you will know there is a huge selection of stools to choose from, and they are not all good. It’s just about getting the right tone and balance for your setting. Most kitchens will benefit from seating with a bit of warmth, texture or colour. For this reason, I would steer away from heavily chromed stools or those with a large disc base. Go for a style which is comfortable, brings life to your other kitchen elements and adds personality to this very sociable space.